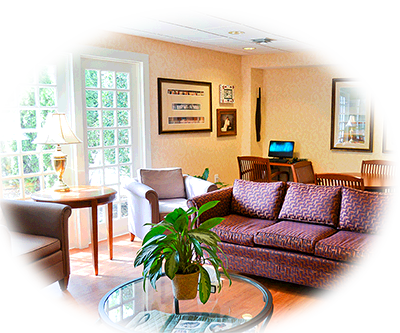 The Callie & John Rainey Hospice House consists of 27 patient rooms, with capacity for 31 beds. It includes a dining room, music room, children’s room, chapel, pharmacy, and reception area. It also houses administrative offices and the Ellen & Randall E. Sadler Bereavement and Education Center. Situated on 53 acres near downtown Anderson, it is surrounded by beautiful gardens that we hope bring peace and refreshment to our patients and their families. The rooms in the Hospice House are designed to feel like home, while allowing us to provide the special care you need. Here we offer grief support following the loss of a loved one and meeting space for appropriate community events. Each room has a patio with a view of the gardens; doors open wide to allow patient beds to be moved outside. There are two areas for family and friends: one is called the Jo Brown Music room and houses a computer and library. With one located inside the Music Room and another located outside on the grounds, our chapels are open to patients, families and visitors for reflection and meditation. Open for lunch on weekdays, the dining room is open to patients, families, employees, and the community. Available for visiting children it includes a collection of games, toys and videos.